Neighbouring the City and Shoreditch, right next to Aldgate East tube station, the Whitechapel Gallery is the perfect venue for private and corporate entertaining. 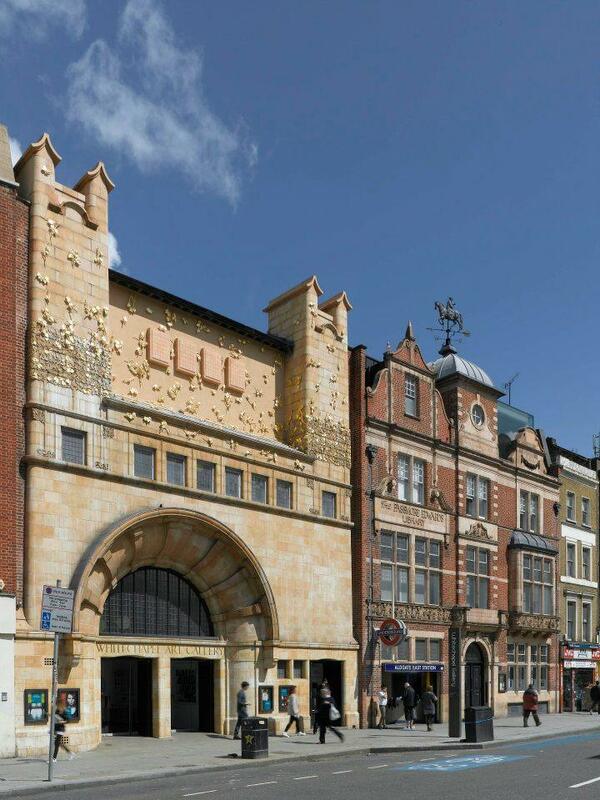 Housing 3,600 square metres of beautiful and versatile spaces including light and airy studios and large brick-exposed Galleries as well as a purpose-built auditorium the Whitechapel Gallery is ideal for inspiring and creative events of all kinds. The experienced and dedicated venue hire team work diligently to deliver your event – whatever your budget the team have the imagination to help you create something truly inspiring. 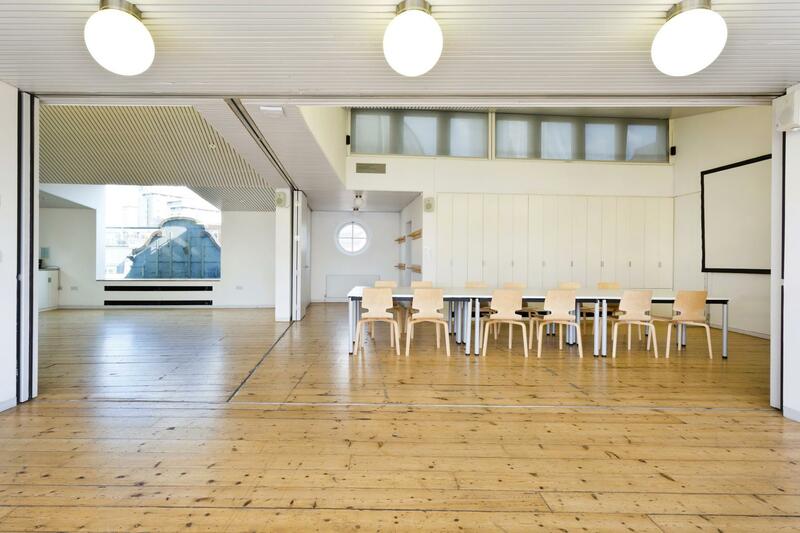 The Clore Creative Studio is a fresh and inspiring space with floor to ceiling windows. This penthouse studio opens up to a private Juliette balcony with views of the city skyline providing the perfect back drop for creative days or a range of evening events. The Studio can be kept as one large room or divided into three separate spaces by sliding walls, ideal for breakout sessions. 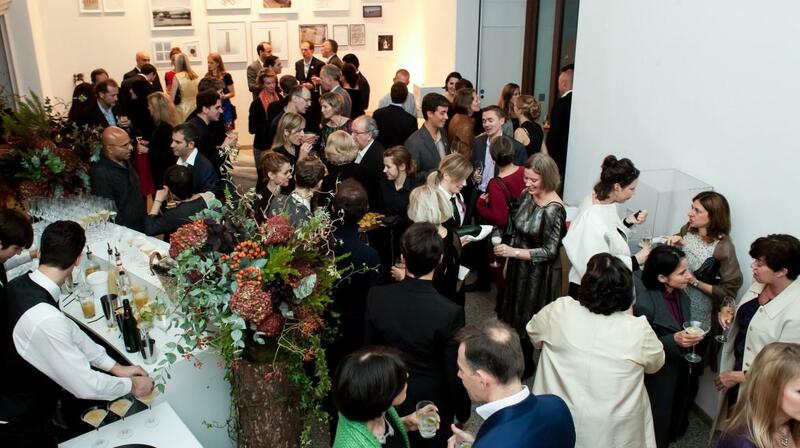 Located at the top of the building, you and your guests can take yourselves away from the bustle of the Gallery and city below, enabling you to create an atmosphere unique to the style of the event. 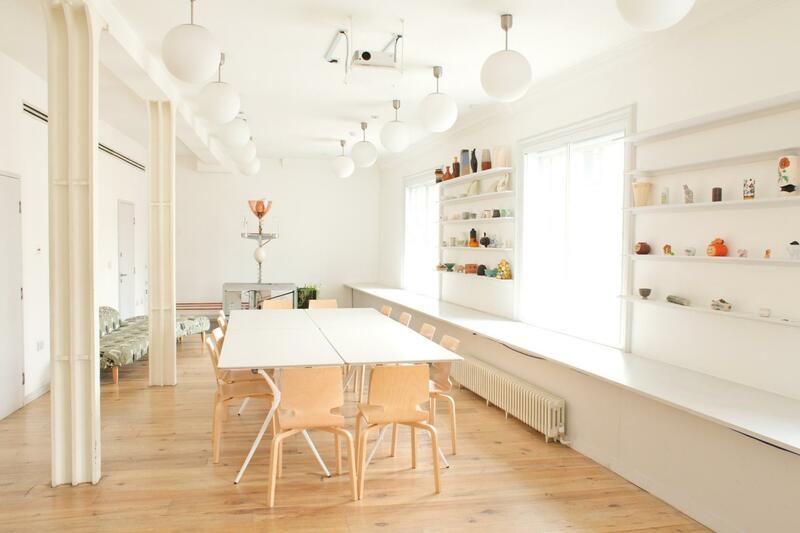 The Study Studio is a uniquely versatile space suitable for both day meetings and evening receptions. With private access and artworks from the Gallery’s social sculpture series including Annie Ratti’s drinking fountain, it makes the perfect talking point for business or private receptions. This light and airy space is equipped with designer wooden Artek Furniture. Gallery 3 is a versatile space that is perfectly suited for day meetings and seminars as well as drink receptions and intimate dinners. The space offers a light and contemporary feel as well as housing two unique social sculptures designed by artist Liam Gillick. Gallery 2 is a unique space providing the ideal setting to host dinners and receptions alongside the latest Whitechapel Gallery commission by a leading artist. 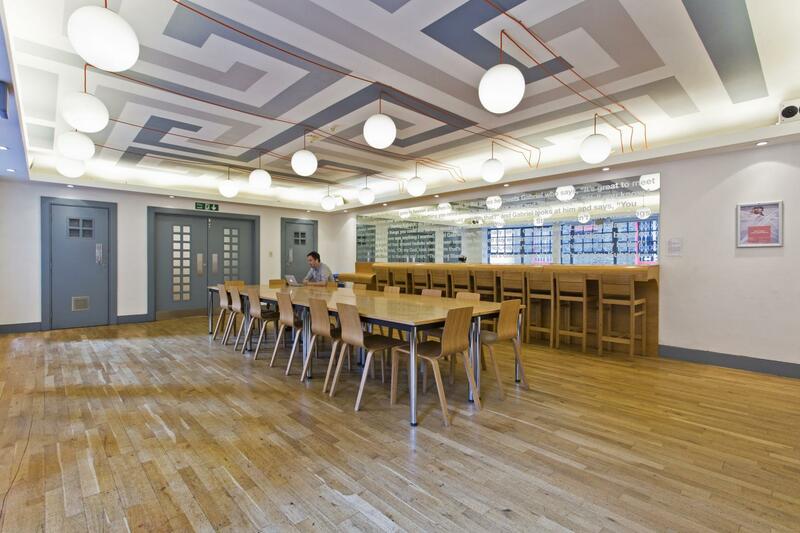 Previously the central reading room of the former Whitechapel Library, original Victorian brickwork and the polished concrete floor are the perfect canvas for you to create your event. 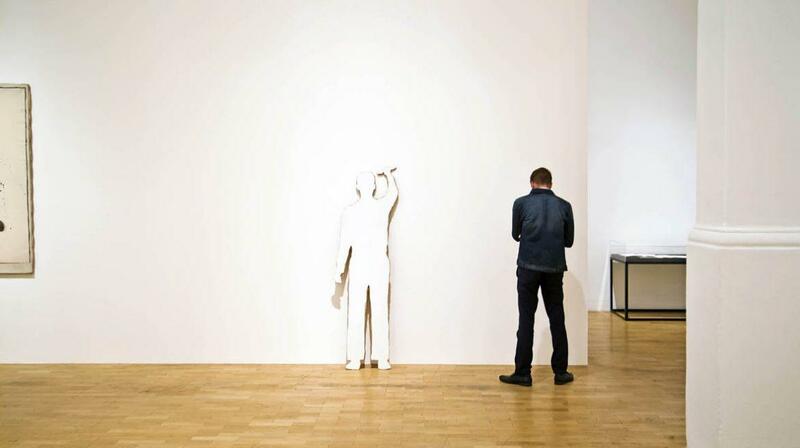 Hire the spacious Whitechapel Gallery ground floor foyer during the evening. Perfect for drinks receptions or as a space for entertainment, dancing and product launches. 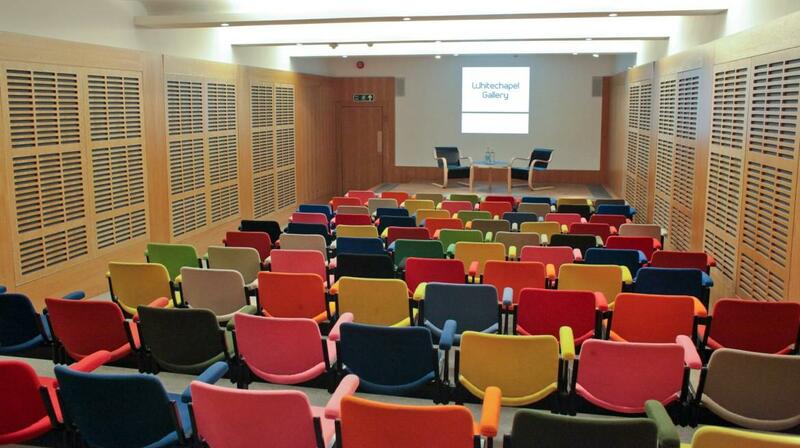 The wood panelled Zilkha Auditorium is a work of art in itself with its colourful seating designed by Turner Prize nominee Liam Gillick. Located at the back of the Gallery, delegates can meander through Galleries 1 or 2 en route to the Auditorium, giving guests time to reflect and be inspired before arriving in this calming space. The Auditorium stage can hold a variety of set ups to suit your needs and state-of-the-art AV equipment makes this an ideal space for seminars. The space is stunning and very private, and the venue staff are really helpful and took great care of us - they signposted our event very nicely. We also got free entry to the exhibition!